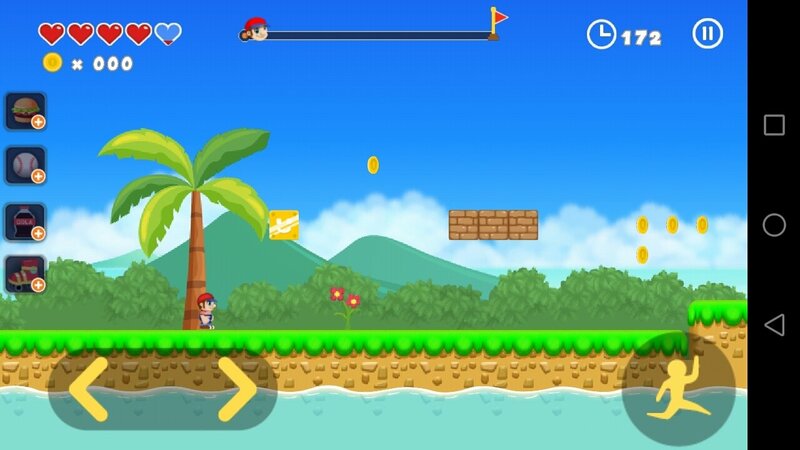 If there's a platform game par excellence, it definitely has to be Super Mario. 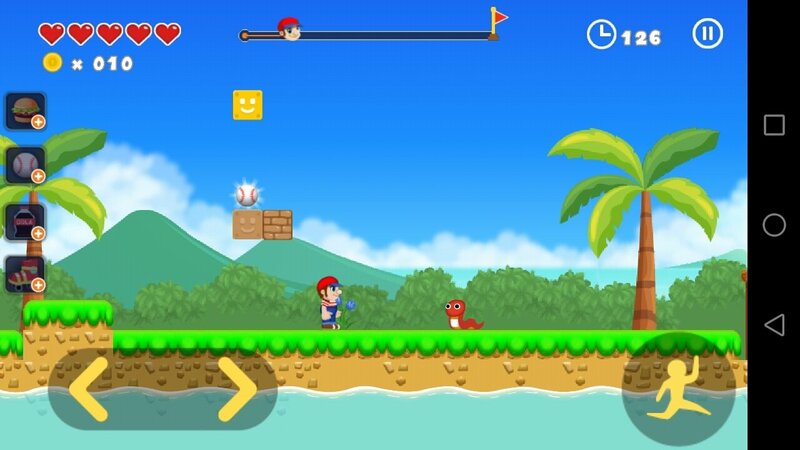 But while we wait for the first official Nintendo game for smartphones starring the bewhiskered plumber to land on Android sometime this year, we'll have to settle for some alternative clones inspired by one of the most successful games of all time. 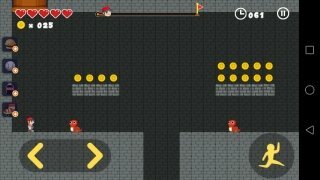 An alternative to Super Mario Run for Android. 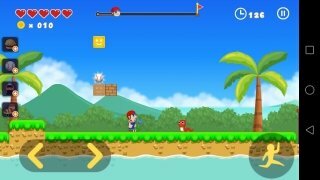 In Jungle World of Ted Adventure, also known as Super Jungle World Adventure, you won't play the role of Mario, but Marco instead, with whom you'll explore the five worlds (Jungle, Grasslands, Ice, Volcano, and Desert) of this title, defeating the five bosses spread around 50 levels and avoiding all sorts of traps and enemies who you'll have to defeat on your way, without losing your five initial lives. 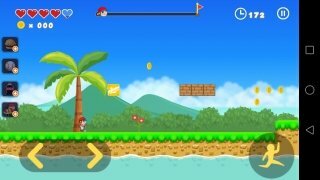 How to play this copy of Super Mario for Android? 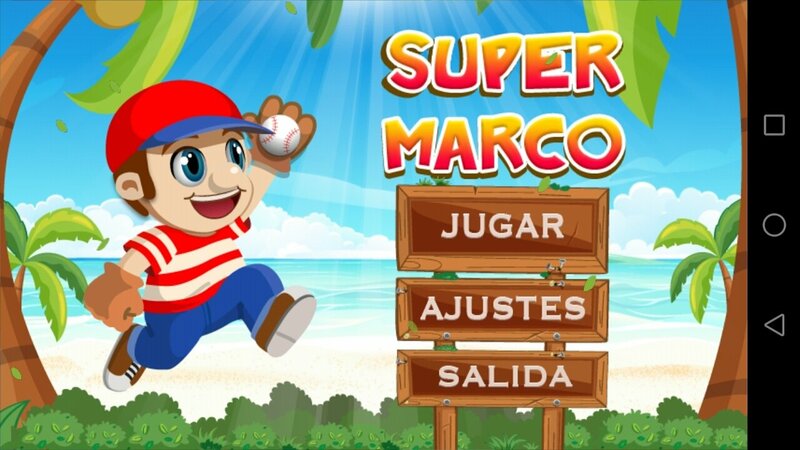 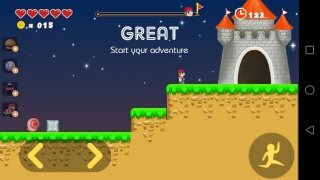 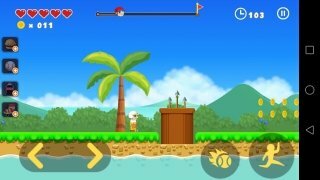 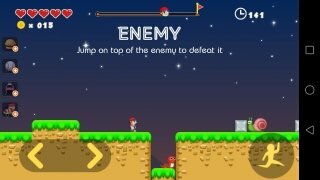 Reviving one of the games that marked an era from your mobile device is as easy as downloading the APK to your smartphone or tablet to start living the adventures of Super Marco. 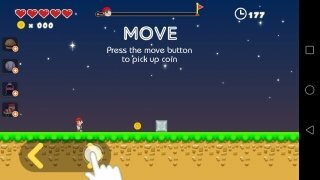 The controls are very intuitive: on the left-hand side, you'll find a virtual joystick to move in the two horizontal directions allowed, whilst on the right-hand side of the screen you'll have the button to jump. The mushrooms give way to burgers. 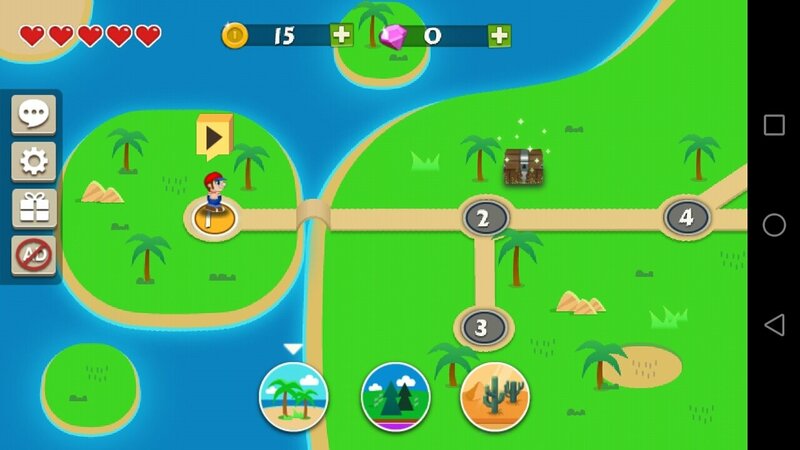 The gameplay is very simple. Just run around the screen collecting as many gold coins as possible, climbing down pipes, jumping on your enemies to kill them and hitting the square blocks that make the platforms with your head: some of them hide more coins, whilst others include burgers, baseballs, coke bottles and skates, replacing the classic mushrooms and flowers. 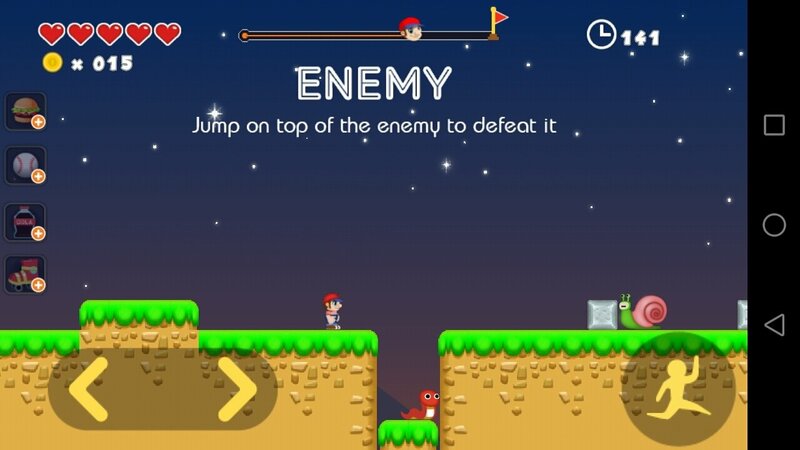 All the latter with the intention of reaching the castle to defeat a somewhat down-beaten Bowser.